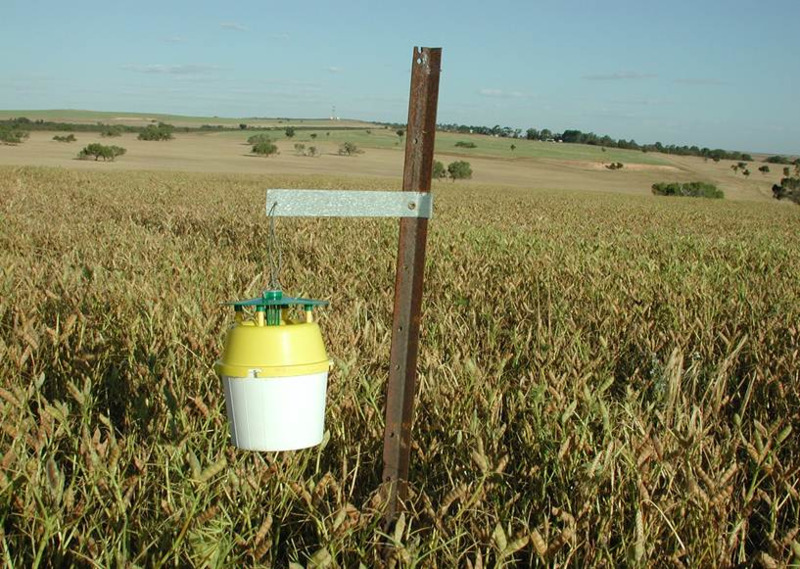 Every year, at the end of July/beginning of August, volunteer farmers, agronomists and some Department of Primary Industries and Regional Development (DPIRD) staff commence weekly pheromone trapping for native budworm (Helicoverpa punctigera) moths. This trapping is part of a program to monitor the potential risk of native budworm caterpillars to pulse and canola crops. Why is it important to trap and monitor native budworm? Native budworm (Helicoverpa punctigera) is a major pest of pulse and canola crops in the south west of Western Australia. The native budworm is indigenous to Australia and can develop large populations over extensive areas on native plants. Native budworm caterpillars chewing into lupin pods. Photo courtesy of: DPIRD. 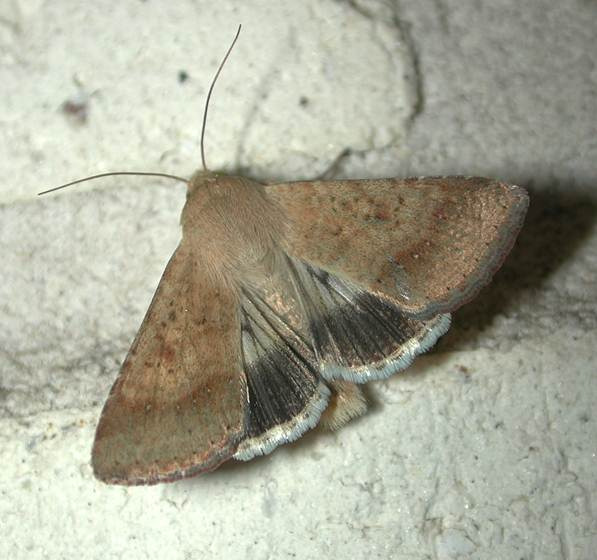 These populations often migrate into agricultural regions in late winter and spring, causing damage to crops. Migratory flights are unpredictable, as moths may be carried hundreds of kilometres from breeding areas by high altitude air currents. 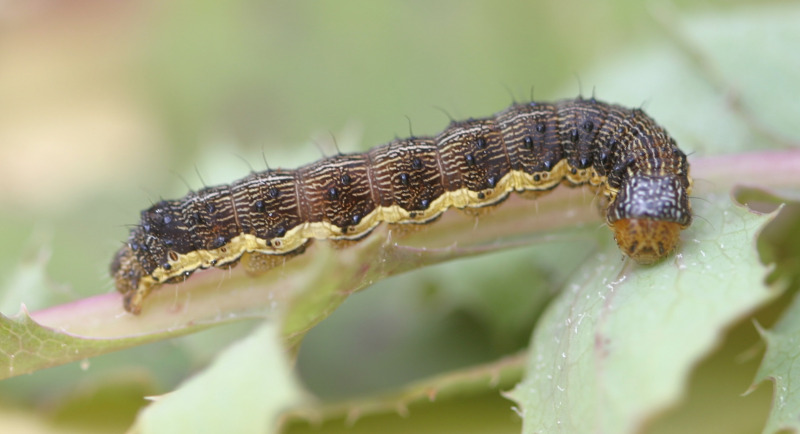 Collecting and communicating captured moth data weekly, via the PestFax newsletter, alerts WA pulse and canola growers of the likely risk of native budworm caterpillars being found in their crops in the weeks following the arrival of moths. For more detail about the native budworm and it's impact on crops refer to the department's Management and economic thresholds for native budworm. Do you want a native budworm trap this season?